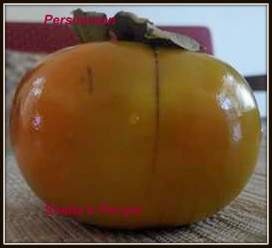 This is a Japanese Persimmon fruit, it also grows in India and it's called by different names here some call it Japani, and some Amarphal or a wild ripe mango, Aambarella. In India this fruit is mostly used for medicinal purpose in Ayurveda and many do not think that this an edible or tasty fruit. 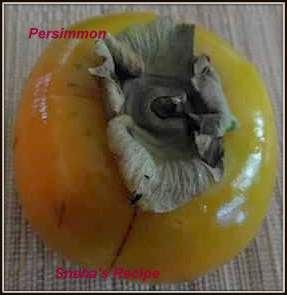 Persimmon is a delicious and pulpy fruit. We enjoy eating this fruit. I made this delicious pudding cake with it. The fruit was very sweet hence the cake too became a little more sweet, if you are planning to make this Persimmon Pudding Cake then I, would suggest you reduce the sugar by 1/4 Cup each that is 3/4 Cup each brown and white sugar, as the pudding cake cools it tends to become even more sweeter. Sent part of this cake to my friend too next day, who felt that it was too sweet. My husband and daughter simply enjoyed this pudding cake and were asking for more. Will definitely make it again. This pudding cake freezes well , pack it in pieces that you would like to have at a time, in zip lock bags. To reheat it place it in the microwave for a minute on high power and you can enjoy a fresh cake. Our host for this month’s Bundt Bakers is Wendy of A Day in the Life on the Farm . 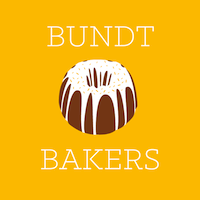 The theme is ‘Back to School Bundts ’ where in she asked us to bake a bundt that is easy to slice and freeze, perfect to take along for lunches throughout the month. This pudding cake fits perfectly into today’s theme. 1 Cup Chopped Mixed Nuts - (optional) . Preheat oven to 180 degrees and grease a bundt mold. Melt the butter and keep it aside to cool. Pulse the persimmon pulp in a blender, along with the skin for just a minute. Measure 1.1/2 cups. Do not over puree it. Sift flour, baking powder and cinnamon into a large bowl. Set aside. In a bowl, whisk together the fruit pulp, butter, eggs, sugars and vanilla. Slowly add to dry ingredients and mix until just combined. Gently fold in nuts. Spread onto prepared bundt pan and bake for 55- 60 minutes or until a toothpick inserted into the center comes with some crumbs. This is a pudding cake so it well be slightly wet in the center. When cooled un-mold and dust it with icing sugar. Enjoy with a scoop of vanilla ice cream or whipped cream. We had with none, just enjoyed it plain. If you are using unsalted butter then add a pinch of salt. For the mixed nuts, I, used walnuts, cashewnuts and almonds. You can use any one nut. That's your choice. Check out all of the recipes our Bundt Bakers are sharing today. This cake looks amazing Sneha. I am also excited that I can comment on your post this time. I have no idea what the problem was before but I am glad it is rectified. I don't think I've ever had persimmon before and I'd love for my first time to be with this cake.